I am unfortunately at that age now wear I can see slight signs of ageing on my face, typing this out and admitting it has almost brought me to tears but I will be honest, my eyelids have thinned and tiny weeny crows feet have started creeping up on me so I am definitely always on the look out for new anti-ageing skincare to test out.
" 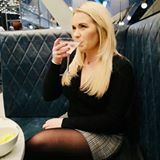 Removing dull, dead skin becomes your first anti-aging gesture: its AHA and BHA-multifruit acid based pads, exfoliate, promote cell turnover, and accelerate Radical Skincare products performance." I have been using the pads for a couple of weeks now, you use one pad every evening after exfoliating and use the pad on your face and neck. I have to say it's a great product, I have noticed my skin is tighter and smoother. They exfoliate without being harsh on your skin. Each individual pad is very well soaked and doesn't dry half way through using like most cheaper exfoliating pads do. 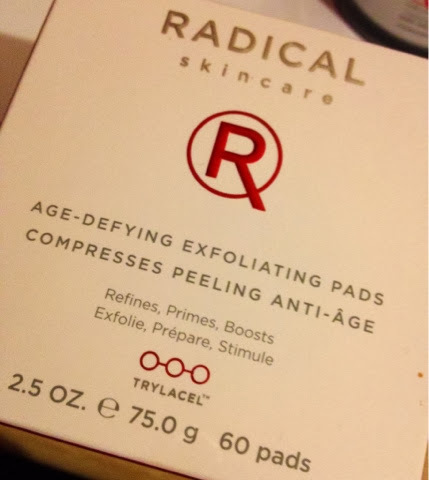 You can buy these pads from http://www.radicalskincare.com the direct link is here, these cost £45.00 for 60 pads (one per day) and delivery is FREE with samples too, you can also find Radical in SpaceNK. 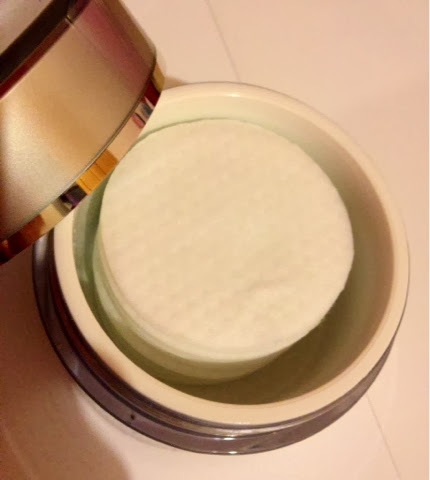 I really like the product, it works, it's in nice sturdy, good looking packaging but I am not sure whether I would spend £45 on pads alone, I would definitely consider that amount on a great quality moisturiser but I am unsure if I would pay that for pads. 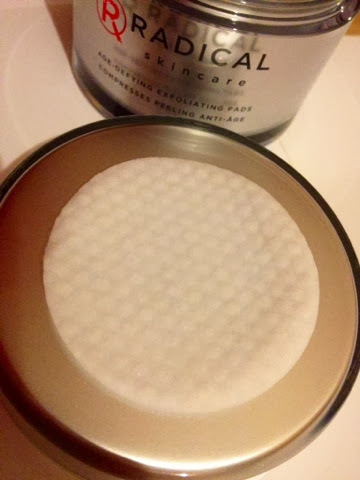 Even though these pads work, there is something about them being 'pads' that I can't get my head round, maybe this is the way forward to moisturising/anti-ageing skincare? 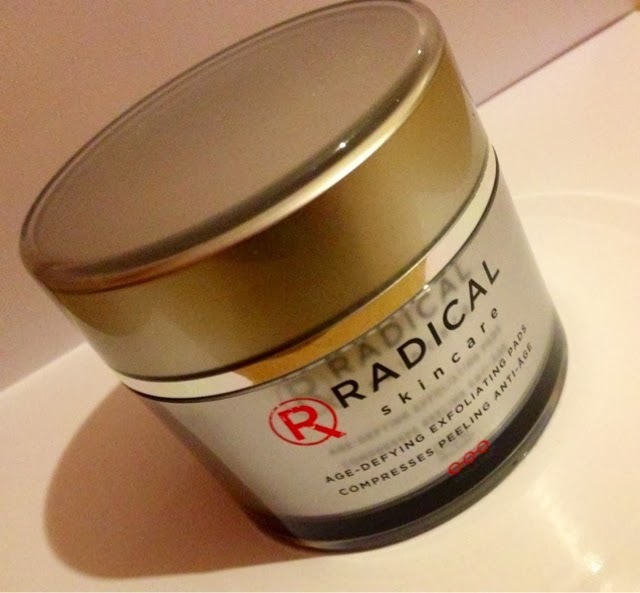 I would really like to try out the Radical skincare face mask as it sounds divine! Would you splash out on exfoliating pads?